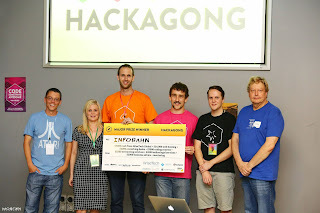 I spent last weekend down at Hackagong 2014. 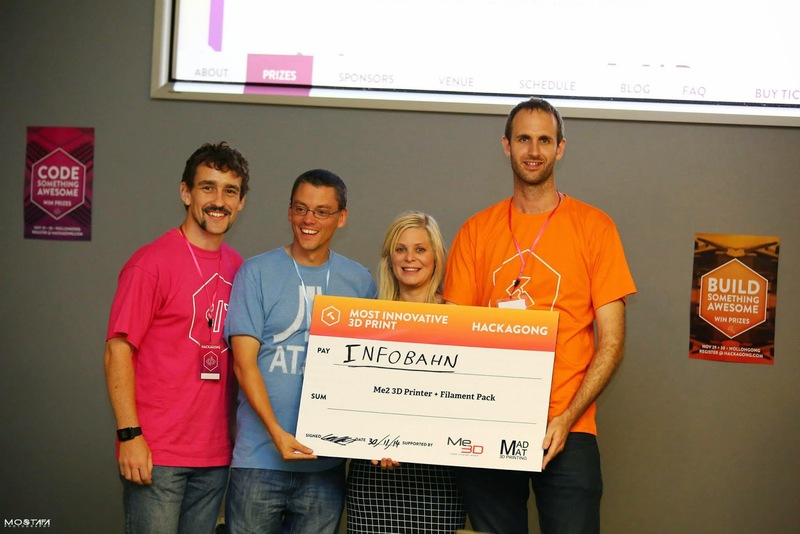 It's an annual hackathon where entrants are challenged to make something awesome in 30 hours. The idea is to form small teams mixing designers, programmers, engineers, entrepreneurs, game creators or anybody with an idea or problem to solve, and build a technology driven product or service prototype. There were over $100,000 of prizes on offer. I didn't know what to expect going in, other than it was a great opportunity to get out my comfort zone and play with new technology. Competition was pretty fierce, with nearly 40 teams submitting some amazing projects using everything from Augmented Reality goggles to drones to 3D printers. But by the end, I was thrilled to be a member of the winning team! 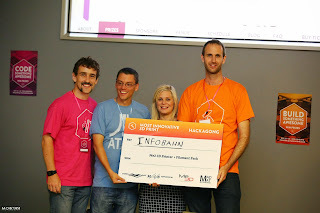 This was my first hackathon, and it was a fantastic experience. Many thanks to the organizers and everyone who participated!